The rapidly shifting healthcare landscape is moving from volume-based care to value-based care and paying providers on the value of care they deliver to their patients. With this new focus on value, both payers and providers must become more adept at managing the risk of their patient pools. Further, they must be able to determine how and when to share risk as they participate in emerging value-based payment models. What is profit today may very well be cost in the future, and without a proactive strategy for managing population health, health systems risk the financial well being of their organization. 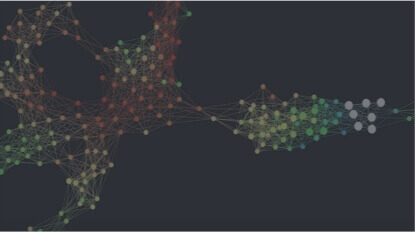 With the size and complexity of patient data, it is impossible to manually discover, with accuracy, patient groups that share similar risk factors. 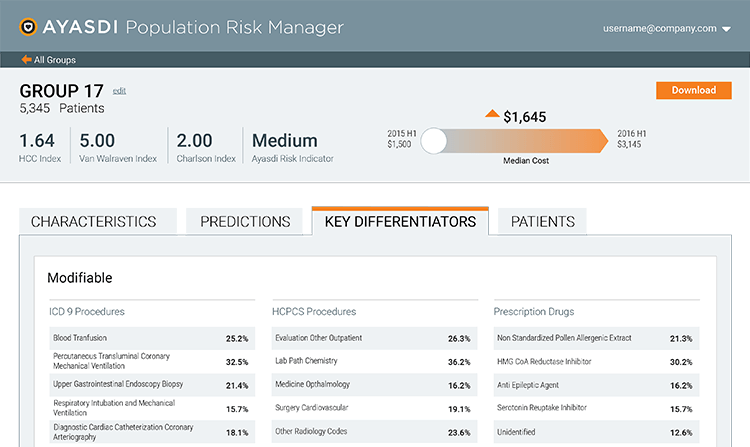 Ayasdi Population Risk Manager automatically discovers nuanced sub-populations, predicts future risk trajectories and drivers of risk, and informs the most effective interventions for delivering the best outcomes – all while understanding your patients’ multifaceted characteristics. 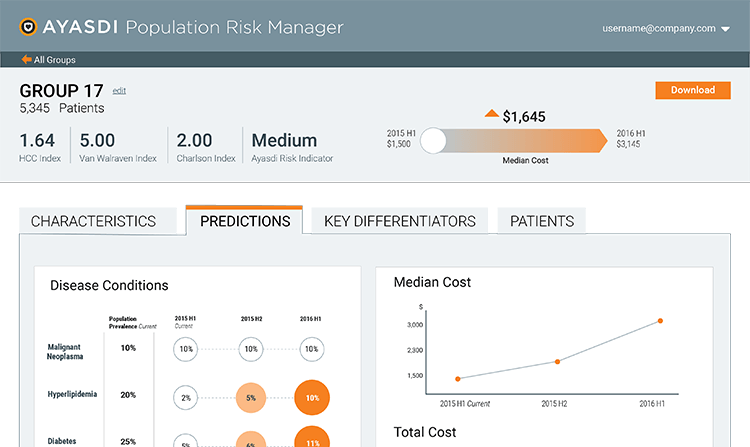 Ayasdi Population Risk Manager predicts individual and subpopulation risk trajectories to identify who will escalate to a riskier state over time, and to gain foresight into the future costs and drivers of risk of a patient group. 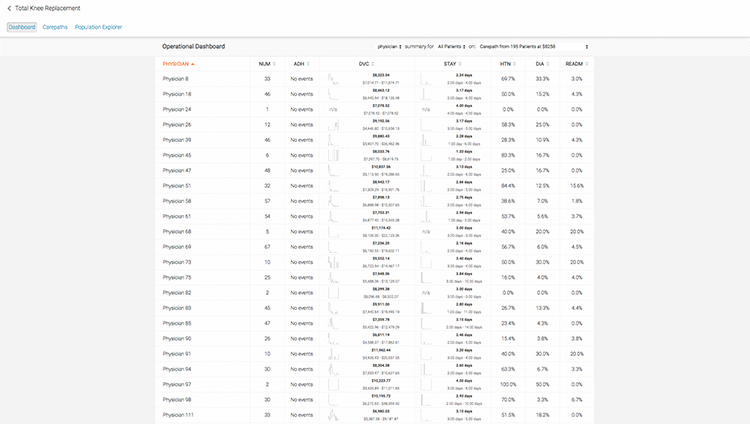 Ayasdi Population Risk Manager determines not only which groups are projected to have the highest escalation of costs, but other outcomes, such as which conditions are likely to be prevalent for each group and the predicted change in utilization. 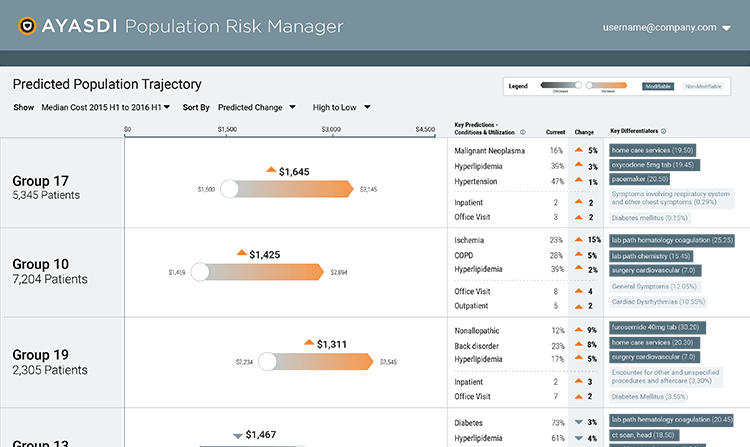 Ayasdi Population Risk Manager provides transparency into which key differentiators are driving the various predictions – revealing what is unique about these groups that makes them high- or low-risk. What drives these differences does not have to be a diagnosis, but could be a combination of factors such as the time they received treatments, and their type of medical insurance. Armed with information on risk profiles and drivers of future risk, clinicians and others across the care continuum, can better assess individuals and the best course of care, and more confidently prescribe and justify care programs for each individual. 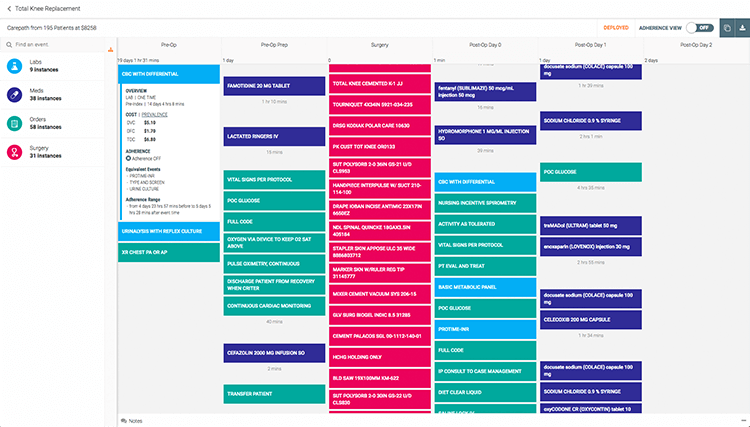 Detailed data driven clinical pathways optimized for chosen measures like LOS, total cost, quality of life, utilization etc. are matched to targeted sub-populations. Standardized treatment regimens minimize unwanted variation in care while achieving the best cost, quality outcomes. Ayasdi Population Risk Manager learns from multi-faceted financial, clinical, and socio-economic data to create more accurate and detailed predictions of risk factors and cost over time, and measures the impact of risk factors and interventions over time. Learn how healthcare organizations are using machine intelligence to understand and manage clinical variation.